Conventional architectural-engineering design is often based on post-rationalization of spatial, formal and theoretical intuitions. This approach often generates a dichotomy that sees creative efforts fighting against technical needs, a paradigm that discourages the pursuit of innovation and experimental design. The workshop aims at promoting a better integrated architectural/engineering design paradigm where spatial and formal exploration is informed since its early stage of development by the analysis of building performances both structural and environmental. The workshop, held within the context of the international events NEWITALIANBLOOD ARCTEC, is open to Architects, Engineers, Designers, both Professional and Students. The workshop aims at transferring basic and advanced knowledge of associative modelling and data management achieved by means of computational algorithms. Associative modelling transforms the architectural and engineering design process into a generative process starting from simple relationships between its constitutive elements. Performance analysis (structural, environmental) is not only used as validation tool but also to inform and drive the design process since its early stage of development. The workshop focuses on shape and geometric optimization of structures such as shells and grid-shells which will be designed incorporating fabrication constraints. Digital models will be validated through prototypes built using 3D printed components, plastic tubes and cable ties and combination of them. 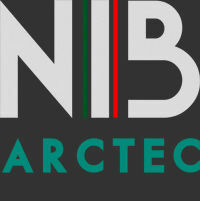 Prototypes of selected designs developed over the workshop will be included in the main public exhibition of the international events NEWITALIANBLOOD ARCTEC which will be held in Salerno, Pontecagnano, Ravello and Cava dei Tirreni in May/June 2013. The base CAD software is Rhino5 and Grasshopper. The workshop mainly relies on Grasshopper intuitive interface but it will also introduce the participants to basics of object oriented programming (OOP) in C#. Thanks to the collaboration with the CentroSviluppoProgetti, five 3D printing and milling machines PowerWasp will be available in order to manufacture physical models using materials such as clay, nylon and bio-resin. The workshop venue is the ex-tobacco factory Centola in Pontecagnano (Salerno), recently converted landmark building with over 1500mq floor area which has been hosting important exhibitions and events such as the Campania Pavilion for the Venice Biennale curated by art critic Vittorio Sgarbi. The workshop will be held in Italian and English. Gennaro Senatore, EngD candidate at the University College London and design consultant at Expedition Engineering, is a researcher and designer specialized in computational methods for the design and realization of complex forms and structures. He developed mathematical models and software for the design and optimization of Adaptive Building Structures (light weight structures capable to counteract loads actively by means of actuators, sensors and control intelligence). He also developed, in collaboration with Daniel Piker, cutting-edge software for the application of interactive real time physics to the teaching of structural mechanic and design of light weight structures called PushMePullMe which is currently adopted by several universities in the UK. His work is published in international peer reviewed journals and conference proceedings. He previously worked at ARUP in the Advanced Geometry Unit (AGU) and collaborated with various architectural/engineering practices amongst with Stufish and Centola & Associati. He graduated in mechanical engineering at the Federico II University (Naples, Italy) and afterwards he was awarded with distinction of the Msc in Emergent Technology at the Architectural Association and the Msc in Computing and Design at the School of Architecture and visual Arts at the University of East London. Daniel Piker s a researcher at the frontier of the use of computation in the design and realization of complex forms and structures. After studying architecture at the AA, he worked as part of the Advanced Geometry Unit at Arup, and later the Specialist Modelling Group at Foster+Partners. He has taught numerous studios and workshops (including the AADRL, and 2 clusters at SmartGeometry) and presented his work at conferences around the world, and consults and collaborates with a wide range of practices and researchers. He has a particular interest in the use of real-time physics engines in design and is the creator of the widely used form-finding and simulation software Kangaroo and a collaborator with Gennaro Senatore on the development of PushMePullMe. CentroSviluppoProgetti (CSP) designs products and/or processes creating prototypes and pre-series composed by electronic and mechanical parts manufactured using rapid prototyping. CSP has computer numerical control machines (CNC) of different sizes, computer aided design and manufacturing (CAD/CAM) develompment platforms. CSP facilities include as electronic laboratory, lathe and milling machines, materials for rapid prototyping and everything you need to turn an idea it into a product. CSP collaborates with research centers, universities and companies as an open source laboratory. An important branch of the research activites undertaken by CSP focusses on bio-compatible materials for the rapid prototyping of prostethics. "Confusion is a state of mind. It's the desire to be contaminated and to have the courage to change". Confusion believes in the culture of art appreciated as social value and people well-being, as participation and dynamic relationship between its expressions and those who benefit from them. Consfusion aims at promoting exchange of views, innovation and new trends by means of exhibitions, conferences and meetings.